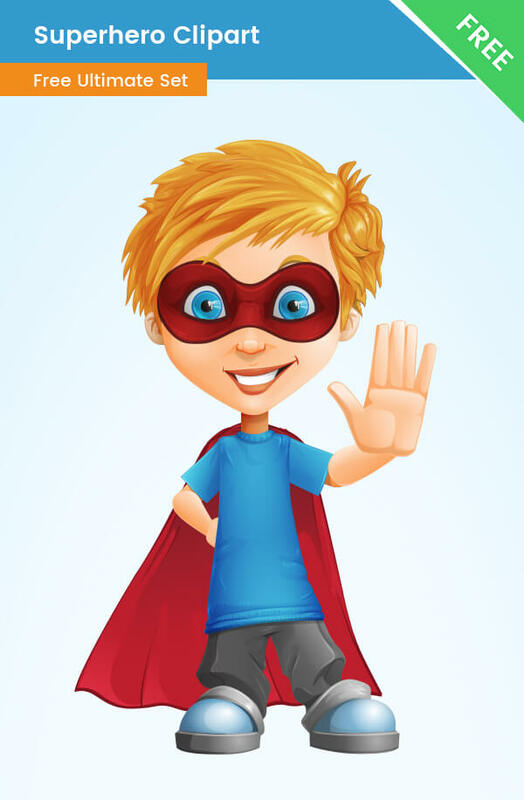 A superhero clipart of a boy, available as a transparent PNG and vector AI files. This cute superhero is dressed casual but has a great red cape and a superhero mask. Our superhero is designed to be cute, friendly and welcoming. This blonde boy is waving and smiling and it is available for free download. In the download .zip archive you will find a transparent PNG, an AI, and a PDF files.